As promised, we’re going to be looking at Irma Stern’s letters and how they revealed a dislocated and magnificent turbulence of the heart — reminiscent of Van Gogh’s experience of life, love, art and identity. Stern’s identity can perhaps painted as a dichotomy of black and white, torn as she was between her deep identification with the Africa of her birth, and her European heritage as a German Jew. This prolific letter writer was (in a sweet serendipity) born in a post office, deep in the Northern Province of South Africa. When she was three years old, her father was incarcerated by the British for his pro-Boer perspectives, and Stern’s mother whisked her two young children away to Germany until his release. With the explosion of World War 1, the family returned to Germany yet again, where Stern confessed to having felt trapped, cloistered, claustrophic and dislocated. With a dogged ferocity that was then considered unfeminine, she closed herself up in her studio – coffee and cigarettes her only sustenance – and worked for days. She ran her business solely on her own: framing her paintings, packaging them and arranging sales. However, beneath this almost rebellious strength, was a highly sensitive, compassionate and humble heart which carried within itself raw wounds of pain, tragedy and grief. Excerpts from letters to her friends paint an emotionally evocative picture of her. Her boldly vibrant and exuberant colours antithetically mirror her dirtier, mournful colours — like a self-portrait. Unlike her South African and European contemporaries who painted portraits of themselves in abundance (like Vincent Van Gogh, Paul Gaugin and Frida Kahlo) Stern declined. Why? We’ll be talking about this enigma of a woman on our Facebook page – and would love to hear what you think the answer might be. Click here to join the conversation! Google “Beyond Black and White: Rethinking Irma Stern by Claudia B Braude” for deeper insights into Irma Stern’s life and work. 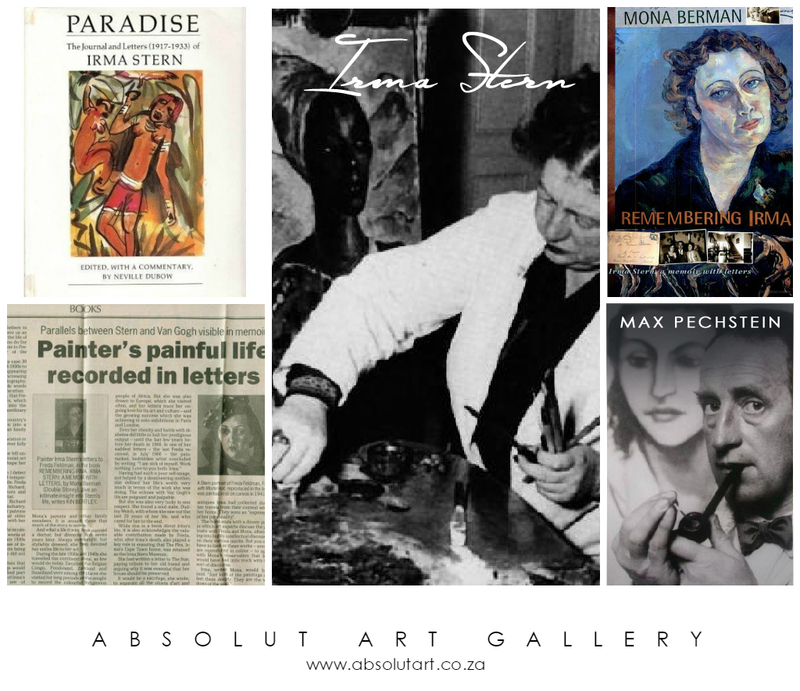 And click here to read more about her by acclaimed UCT art academic, Clive Kellner.